Maltese law provides for the establishment and operation of companies that engage in remote/online gaming activities such as online casinos, casino-style games, betting exchanges and lotteries. 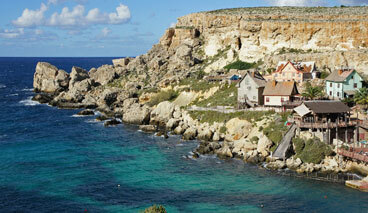 The first online betting legislation in Malta was enacted in 2000, established under the Public Lotto Ordinance (L.N. 34 of 2000), to regulate offshore betting offices. Since then, the Lotteries and Gaming Authority (LGA) has been the single regulatory body responsible for the governance of all forms of gaming in Malta. Since 2000, the remote Malta gaming industry has witnessed a remarkable and rapid growth. Over 500 applications have been submitted to the Malta Lotteries and Gaming Authority since April 2004 by operators wishing to run remote gaming companies in Malta, including some of the world's leading operators. All forms of interactive internet gaming including online casinos, casino-style games, betting exchanges and lotteries through the use of any means of distance communication such as internet, mobile, telephone and fax can be carried on from Malta. All operators of remote gaming in or from Malta must possess a valid license of the relevant class as set out in the First Schedule of the Remote Gaming Regulations. Class One – online gaming license. Class Two – online betting office license or online betting exchange office license. Class Three – license to promote and abet gaming from Malta (includes betting exchanges and poker operations). Class Four – license to host and manage online gaming operators, excluding the licensee himself.